Are you starting a new online business? Or looking to Hire WordPress Developer to build your desire website? Well, if you want to do it on your own then there are thousands of themes available online, but keep one thing in mind that not every theme is suitable for your business. In this article, we are going to look at some of the best WordPress business themes in 2019. This premium WordPress theme is perfect for the online business website. 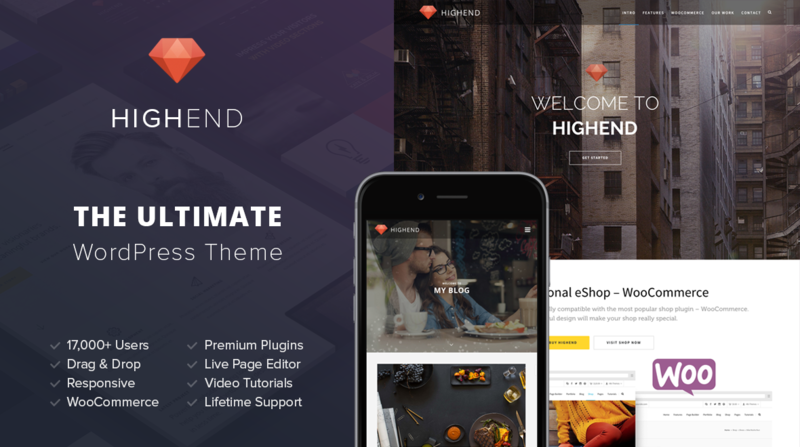 Highend is filled with multi features such as ready to use templates, page builder with drag and drop functions, thousands of icons, sidebars, and many more. It supports features like, multiple page templates, customizable widgets, attractive sidebars, and eye-catching navigation menus. You can also add your custom build portfolio. No need to add WooCommerce plugins because this theme has an in-built feature that allows you to edit your online store. Koehn is a specially designed WordPress business theme with easy drag and drop homepage editor. You can edit in a full-screen slider with built-in content widgets menu. You can add multiple project member to your ongoing projects. It also comes with powerful custom content widgets and social media features like Twitter, Instagram, Pinterest, etc. This WordPress theme is for rapid product selling websites. Some business owners only need a simple and easy to navigate website to display their products to make sales. With WooCommerce integrated, this elegant and modern-stye store theme incorporates seamlessly with e-commerce features like scroll to top, breadcrumbs supports, and custom brand logo. This theme is perfect for small business website owners who prefer simplicity. Some business owners prefer a professional website with a touch of sophistication. 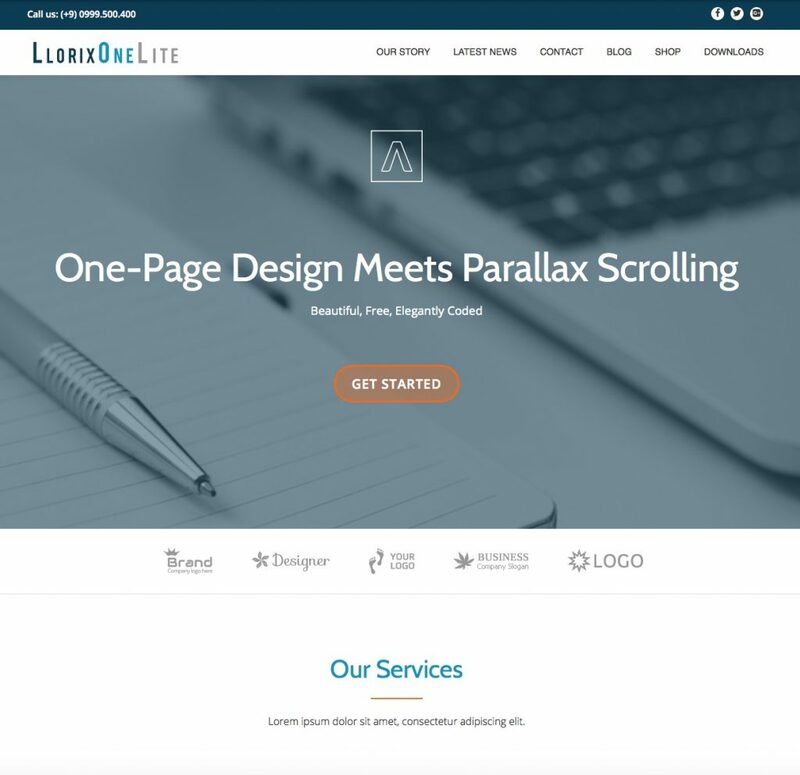 Style can go a long way with Llorix One Lite, you can build a stylish looking website with minimal efforts and investment. This theme includes popular plugins like bbPress, MetaSlider, and WooCommerce. Using its premium features, one can easily add custom functions to your website. If you want faster, easy-to-use and lightweight business theme than Deserve is the one for you. Deserve is based on Twitter Bootstrap that means your WP site can be displayed without horizontal scrolling on every device including Desktop, laptop, and mobile devices. This theme is packed with every feature including custom theme options, customizable widgets, and can incorporate social links. A clean and elegant layout can go long way. That’s way Spacious WP theme shines. Impress your visitors and clients using an amazing layout that is easy to navigate. Using its premium version, you can create a professional looking website. This versatile WordPress theme includes a sample layout for pages, drag and drops templates, and multiple widget areas. On top of that, it gives custom build logo design widget for your brand that also includes social media links. If you are looking for a responsive and modern yet professional fitness WordPress website theme, you have found it. Fitness Freak is mainly focused on online business websites like Gyms, professional trainers, yoga instructors, weight loss trainer, and gym experts. This multipurpose WP business theme is for any online business. With SiteOrigin page builder, you can customize your fonts and widgets according to your website needs. For mobile visitors, Fitness freak is a mobile-friendly WP theme with payment options integrated. This WordPress theme is designed for online sellers who want to sell their digital products. If you want to sell any digital product such as software or graphics or PDFs then this is the perfect business WP theme is for you. You don’t have to worry about optimization because this theme is optimized for all the devices. Digital Products supports drag and drop functions for those who just started an online business and don’t know much about website building. You can integrate PayPal as an online payment option. If you want to add membership function all you need to do is buy and include WPDigiPro plugins to your WP site. After doing this, automatically membership areas will be generated for your buyers. As the name suggested, this premium business WordPress website theme is for online startups. This theme is for those who want to create a quality website in a very short time. Using this premium quality theme, online business owners can create a stunning website in just a few minutes. Best Startup also provides step by step tutorial for newbies on their website. This theme is mobile responsive, hence it is going to look impressive on every device. This WordPress theme has something for everyone. It doesn’t matter if you are a newbie or an advanced user. This theme is fully based on bootstrap. You can customize almost anything in Virtue. It can give you the freedom to create an e-commerce store and lets you display all of your products or services on the homepage. 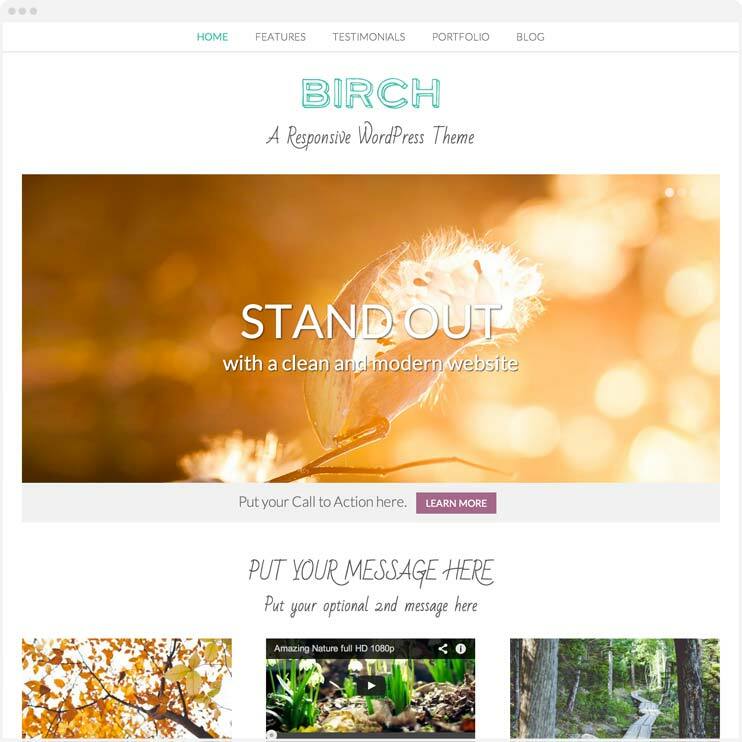 If you want a stylish looking WordPress business theme for all kind of businesses, Brich is the one for you. 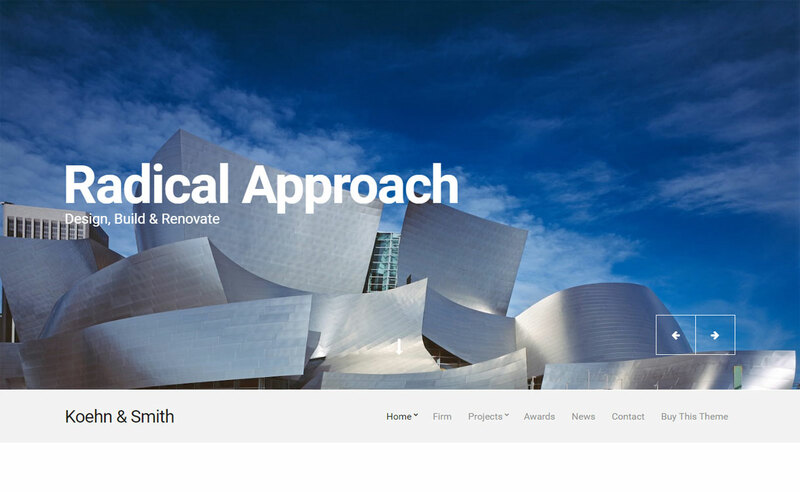 Brich comes with an amazing parallax slider for the homepage of your website. On top of that, call to action button and warm welcome message are just amazing add-ons to this already outstanding theme. If you just want to convert leads into customers, Growtheme is the best option for you. No other WordPress theme can come close in terms of lead conversion. This theme allows you to take advantage of list building strategies without any additional plugins or tools. Eye-catching feature box, stunning widgets, opt-in after post, author bio, sidebar widgets, and many other outstanding features for premium users. You have complete control over page building, welcome message, and responsive homepage. This theme is designed for pro users who want to customize everything. This extremely popular WordPress theme is not only customizable but also if you want to connect Astra Pro with its add-ons, it provides faster page load time. Astra Pro gives you the freedom to expand the functionality beyond your creation with premium add-ons. Some of the free WP business themes provide you with the same features as premium ones. Once you select the right theme, the hard part is over. Now you just have to set up a quality host to start your online business. Harshal Shah has a countless experience as being a CEO of Elsner Technologies PVT. LTD: WordPress Development Company that offers various WordPress Development services to the clients across the globe. Mr. Harshal is a huge tech enthusiastic person who has written major & genuine articles as well as blogs on mostly topics relevant to various CMS platforms. This can guide the readers to acknowledge new practices about web development and also they can learn new ideas to build & optimize a website online using multiple web development tools & techniques. This entry was posted in Themes on January 16, 2019 by Jishan Singh Bedi.